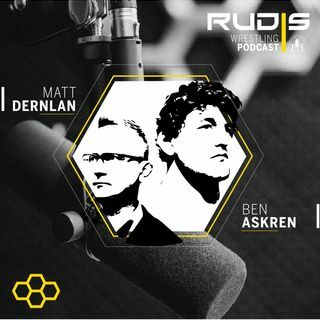 On this episode, Ben Askren and Matt Dernlan breakdown UFC 235, Askren vs Lawler, the Oklahoma State Rogers vs Smith wrestle off, as well as their predictions for the BIG 10 conference tournament. Dernlan asks how Askren felt about going from the build-up of his previous fights in promotions such as Bellator and ONE Championship to the press/media monster that is the UFC. There is no controversy, in Askren’s eyes, in his ... See More win over former UFC Champ Robbie Lawler. In the moment, Askren was not worried about the referee, Herb Dean, stopping the fight. In Askren's situation, the bulldog choke was locked up across Lawler's chin and wasn't fully cutting off the flow of air in his windpipe. Askren is headed to London to watch UFC Fight Night 147. With the final seeds being released for the BIG 10 Championship, Askren and Dernlan give their predictions on the outcomes.